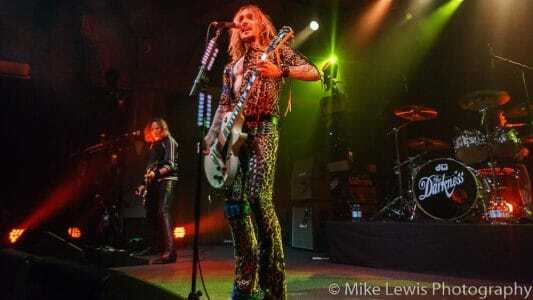 English ‘nu-glam’ rockers The Darkness returned to Portland, Oregon touring behind their latest album Pinewood Smile, which was issued in the last quarter of 2017. 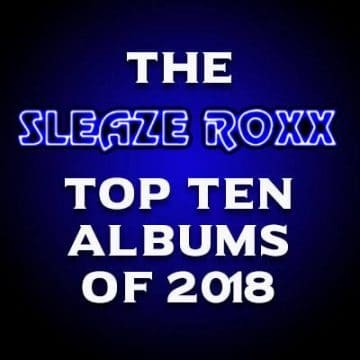 The Darkness have gone through so many drummers in their decade plus career that they have Spinal Tap saying, “Hey, you guys sure go through a lot of drummers.” The new recruit is Rufus Taylor who is the offspring of Queen drummer Roger Taylor. How’s that for a pedigree? 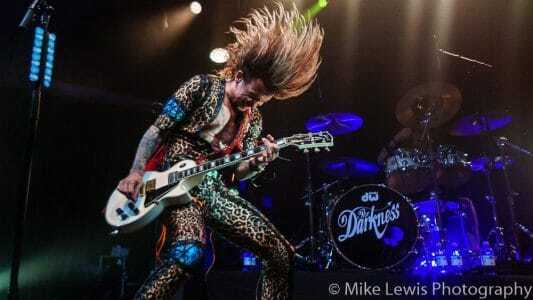 Of course rounding out The Darkness are mainstays Justin Hawkins on lead vocals and guitar, his brother Dan Hawkins on guitar and backing vocals, and Frankie Poullain on bass. 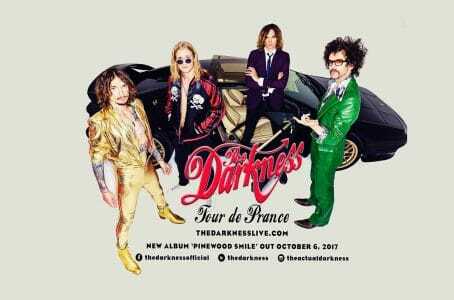 The Darkness launched their tour, which they’ve dubbed Tour De Prance at The Fonda Theater in Los Angeles on March 29th. 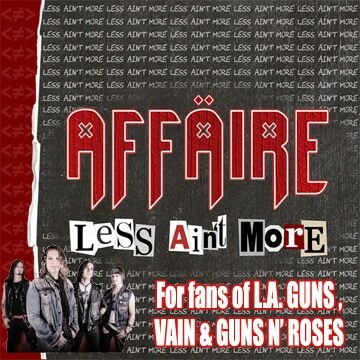 The band members recorded that particular show for a possible ‘live’ album, so they have been been tight in preparation for the recording. This made my anticipation for the April 2nd show in Portland grow even more. The Darkness took to the stage with of all things “Arrival” by ABBA — fitting but certainly an out of the box selection. The Darkness were shot out of cannon and tore into opener “Open Fire” and we were off. The band has a genuine, fun, yet explosive chemistry, which has simply been enhanced with the addition of Taylor who isn’t flashy, but holds down the fort with his bombastic chops. 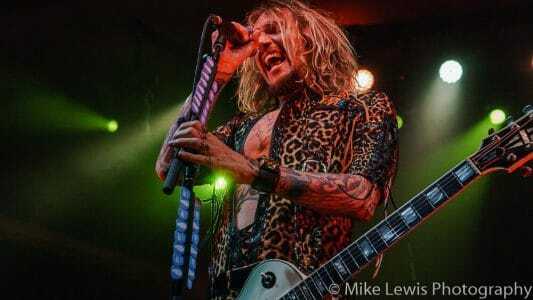 Over the course of the years, Justin Hawkins has toned down the falsetto pyrotechnics, which frankly will save wear and tear on his voice and has made The Darkness‘ live performance more bearable to the audience. 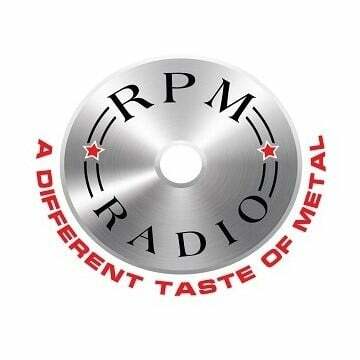 The guitar work is stellar and spot on when compared to those studio recordings that we have grown to love. Obviously, The Darkness had a new record to sell and they included new material, which included the aforementioned “All The Pretty Girls,” “Buccaneers Of Hispaniola,” “Japanese Prisoner Of Love,” “Solid Gold,” and “Southern Trains.” The Darkness didn’t ignore the fan favorites as “Black Shuck,” “Growing On Me,” “Friday Night,” “Get Your Hands Off My Woman,” “Open Fire,” and the show stoppers — the ode to ‘white powder’ “One Way Ticket” and their signature track “I Believe In A Thing Called Love.” There was a lot of interaction between the charismatic frontman Hawkins and the audience. It was funny, entertaining and helped build additional audience rapport. There was a point during “One Way Ticket” where Hawkins stopped the show to participate in launching plectrums at the chandelier that was hanging in front of center stage. Perhaps that went on a tad too long but it was fun nonetheless. 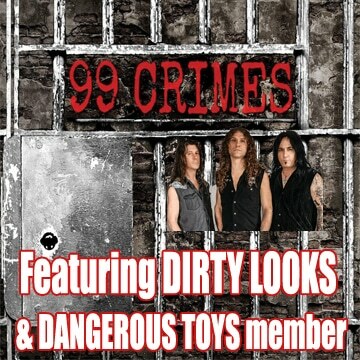 If The Darkness make their way to your town, make sure you don’t pass up the opportunity to see one of the most thoroughly entertaining bands out there right now. There’s no politics, no one grandstanding and preaching to you with their own personal agenda in mind. It’s just amusing, over the top, rock n’ roll.